Did the Duke Manipulate the Record? Thanks are due to Captain William Siborne, adjutant of the Royal Military Asylum (1843-1849), whose persistent and dogged determination kept alive knowledge of an unjust distortion of a major event at the Battle of Waterloo on 18 June 1815. This was the arrival on the field of battle by Field Marshal Blücher's Prussian army in good time to turn the tide and win the day. Had the Prussians not arrived in force the outcome of the battle might well have been different from that which is now a matter of history. Wellington claimed the Prussian intervention first became effective after 7 p.m. when the French were already in full retreat. As proved to the contrary by incontrovertible documentary evidence, his Prussian allies arrived in strength enough to change the outcome at 4.30 p.m. The three and half hour discrepancy made a sufficient difference to change a stalemate into certain victory. 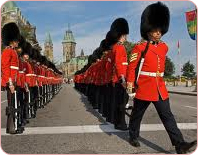 Peter Hofschröer, a graduate of King's College, London, is a military historian with a specialist knowledge of Napoleonic history. With a record output of books on the era, numerous articles contributed to the Journal of the Society of Army Historical Research, War in History, Military History, the Age of Napoleon, the BBC History Magazine, First Empire, and the Osprey Military Journal, his credentials are well established. 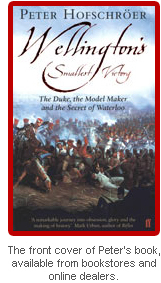 In his latest work, Wellington's Smallest Victory, he puts to rest a long battle with pro-Wellington supporters who contend that Wellington was right and the documented facts of history are wrong. In support of Adjutant Siborne's lonely battle to present the actual sequence of events that took place on the day of the battle, Mr. Hofschröer agreed to the publication on this site of additional papers on this subject. The section, which deals exclusively with the events on the day of the Decisive battle of Waterloo is dedicated to Captain Siborne, a former Adjutant of the RMA, Chelsea. 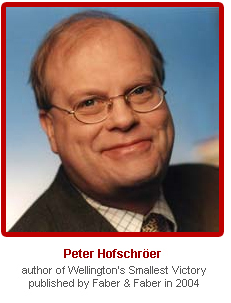 The articles that follow are the copyright ownership of Peter Hofschröer and may not be reproduced in any form without the written permission of the author through this site. Hofschröer's two additional papers on Wellington and his Prussian allies follow this introduction. First, what has come to be known as The De Lancey Disposition and, secondly, his paper entitled Did the Duke of Wellington deceive his Prussian Allies in the Campaign of 1815?